The beaches and other outdoor surroundings create an inviting atmosphere in Temae. One of the city's many top draws is its golfing. 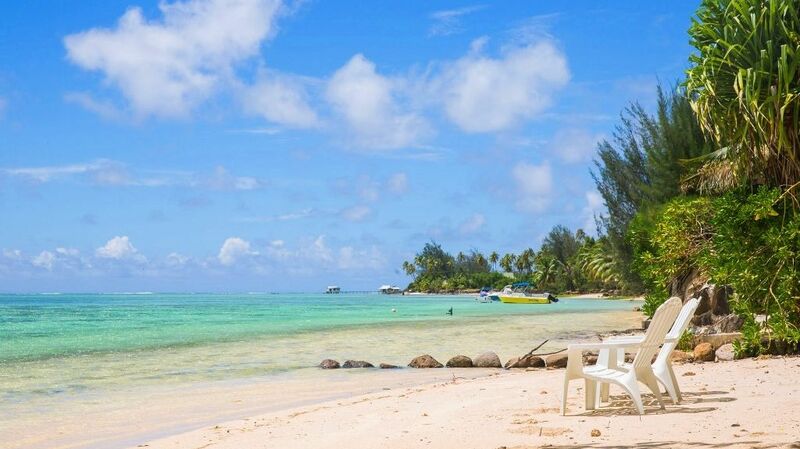 Take in top local attractions like Moorea Green Pearl Golf Course and Temae Beach. Whether you're planning a family vacation, friends trip or romantic retreat, HomeAway has a great selection of vacation homes. Many rentals come with a full kitchen and separate dining area, perfect if you need a space for entertaining. Fly into Moorea (MOZ-Temae), the closest airport, located 0.7 mi (1.1 km) from the city center. If you can't find a flight that's convenient for your trip, you could also fly into Papeete (PPT-Tahiti Faaa Intl. ), which is 11.4 mi (18.4 km) away. Where to stay around Tema'e? Our 2019 accommodation listings offer a large selection of 110 holiday lettings near Tema'e. From 34 Houses to 23 Bungalows, find unique self catering accommodation for you to enjoy a memorable stay with your family and friends. The best place to stay near Tema'e for a long holiday or a weekend break is on HomeAway. Can I rent Houses in Tema'e? Can I find a holiday accommodation with pool in Tema'e? Yes, you can select your preferred holiday accommodation with pool among our 42 holiday homes with pool available in Tema'e. Please use our search bar to access the selection of holiday rentals available.